Last year, the craft store chain agreed to hand over 5,548 antiquities that it had improperly imported. On Wednesday, the arts and crafts chain store Hobby Lobby surrendered 245 cylinder seals that are believed to have been smuggled out of Iraq and were improperly imported into the US. This group of artifacts, which were handed over to prosecutors in New York, brings the total number of ancient objects seized from Hobby Lobby to 3,839, according to Newsweek. In July of last year, the company agreed to pay a $3 million fine and hand over 5,548 smuggled artifacts. Green is an evangelical Christian and the chairman of the recently opened Museum of the Bible in Washington, DC, which is believed to have been the intended destination of the thousands of seized artifacts. Many have questioned the Museum of the Bible’s presentation of ancient artifacts and accompanying scholarship, suggesting that it amounts to Christian propaganda. According to a Department of Justice letter confirming the forfeiture of the 245 cylinder seals, the artifacts “constitute merchandise that was introduced or attempted to be introduced into the United States contrary to law,” the Long Island Business News reported. According to information released at the time of the July 2017 bust, shipments of ancient artifacts to Hobby Lobby were systematically mislabeled, indicating that they contained ceramic tile samples and had originated in Turkey. The Justice Department’s investigation found that Green and a consultant had traveled to the United Arab Emirates in July 2010 to inspect a trove of cuneiform tablets. Five months later, Hobby Lobby made a deal to pay $1.6 million for 5,548 artifacts. After this week’s forfeiture, the arts and crafts store chain still owes US prosecutors more than 1,700 ancient Iraqi artifacts. 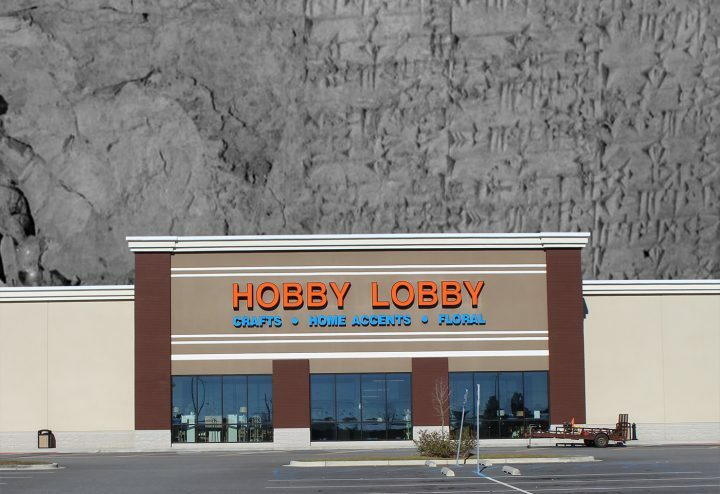 Before making headlines with its ill-gotten antiquities, Hobby Lobby was best known for refusing to provide employees with emergency contraceptives and for suing the US government for trying to make it do so. Hobby Lobby, which was founded by Steve Green’s father David Green, has more than 800 stores and employs over 28,000 people throughout the US. According to Forbes, in 2016 the company’s revenue totaled $4.3 billion.